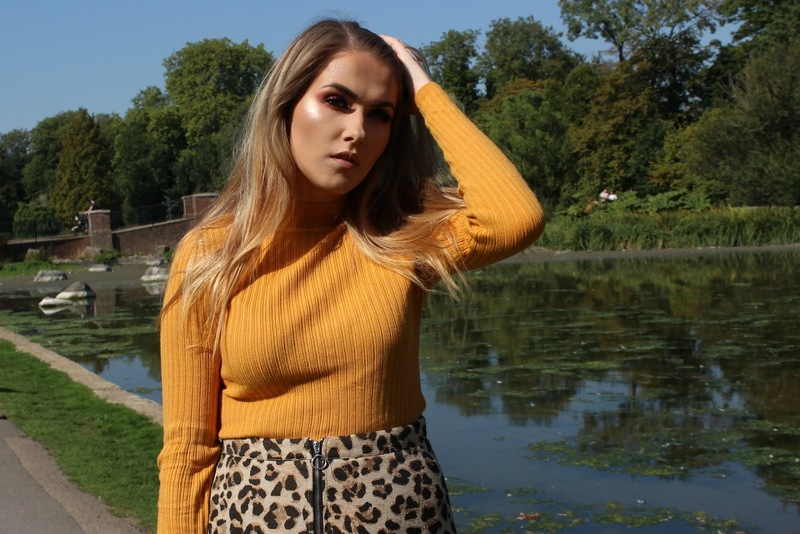 Leopard print is definitely a 'marmite' in the fashion world - you either love it or you hate it and it can either look incredibly tacky or incredibly sassy but nonetheless I'm obsessed at the moment. 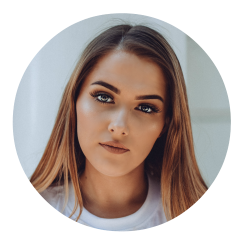 I'm so excited that it's in every shop you go into and featured on every online shopping destination's new in section. 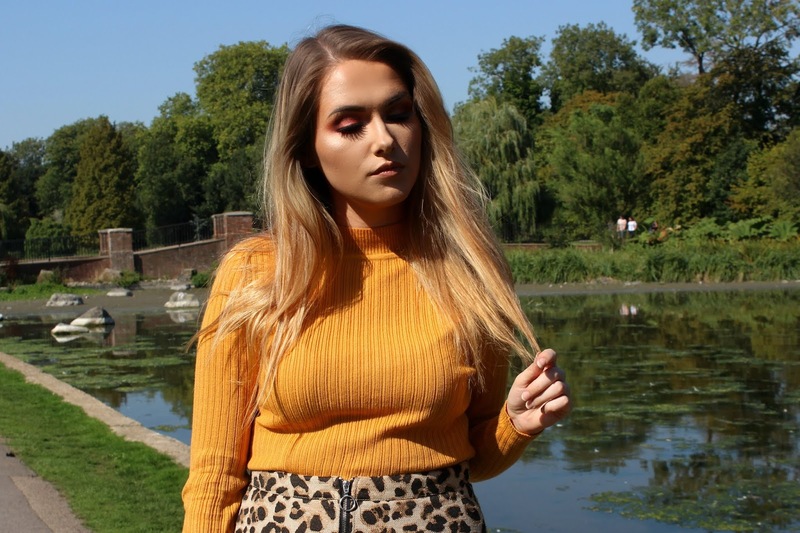 If you happen to be a subscriber of my YouTube channel, you'll know how much I love Primark and I'd say a large percentage (It's currently 7:43 in the morning and I'm writing this on a train, running on 4 hours sleep so I'm not going to even attempt to work a random statistic out) of my wardrobe consists of my large Primark hauls. 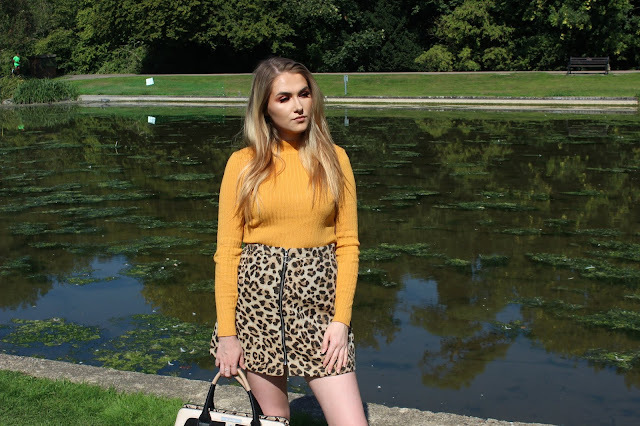 I've wanted a leopard print skirt ever since I saw Hayley from Love Island wear it on one of the episodes, and this one here with a zip detail - which I also used to be obsessed with, is so cute and goes with so many pieces I already own. I teamed this leopard print skirt with a mustard yellow top that I actually stole inspo from Primark's visual merchandisers, and then finished it off with my fave black heeled boots. As we all know you can't shop Primark online but I can link my gorgeous bag from River Island here which I'm so obsessed with and makes me feel like a sassy business woman.